A modern interpretation of a classic design, the Emma Sofa by Rugiano Interiors combines timeless sophistication with artisanal finishes. 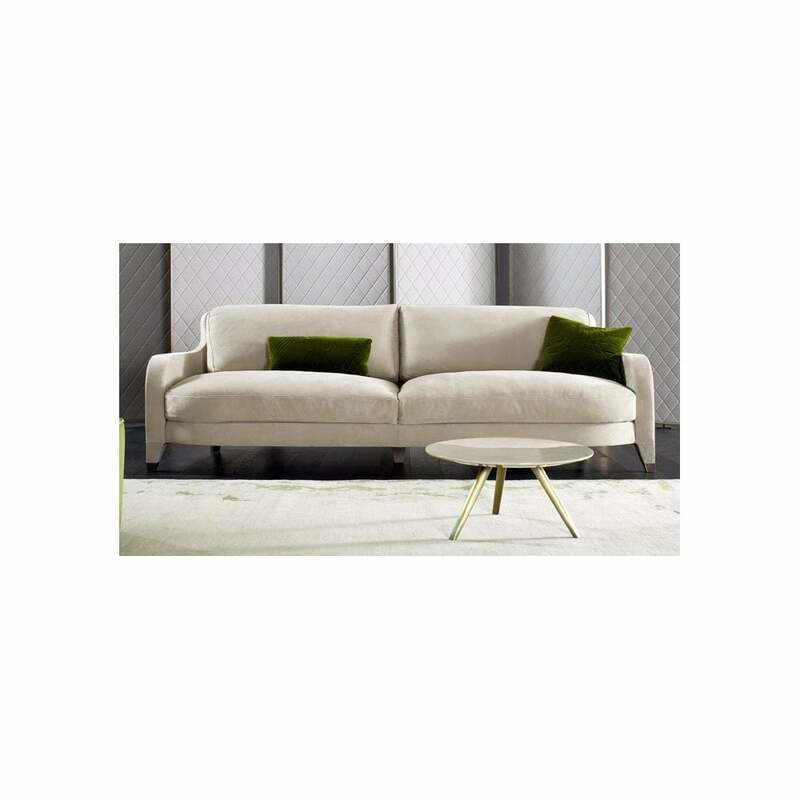 This designer sofa is crafted with high-end materials in wood and metal with fine leather and fabric upholstery. Shown here upholstered in beige suede leather, the backrest is available in smooth and matelassé fabric. The Emma Sofa complements a range of properties from a chic Milan apartment to a Tuscan villa. Style with the Emma Armchair from the Rugiano Collection to create a sleek and stylish living room interior. A wide variety of fabrics and leathers are available (samples can be ordered upon request). Choose from three versatile sizes including a beautiful love seat design. Make an enquiry for more information.